Five local mares are likely to line up in Sunday’s $22,000 Community Cup (1400m) at Ballina as they fight off their border-hopping male counterparts for the feature event on the seven-race Ballina Jockey Club program. Lismore mares Anne Bonny, Queen Of Kingston and watched are joined by Casino mare Traconi and Ballina’s My Cousin Jackie for the main race on the TAB-covered card. My Cousin Jackie is trained on the track by Ballina horseman Steven Phelps and she has drawn well in the middle of the field (6) for this 12-horse race. She is also chasing a second career win in eight starts on her home track and adding to her $72,730 in prizemoney. Traconi, a seven-year-old daughter of Nicconi, is prepared at Casino by Stephen Bennett and is yet to win at Ballina in five previous attempts. She is coming off an eighth to Almas in the Untamed Sprint at Lismore on Cup day and has drawn barrier 12. 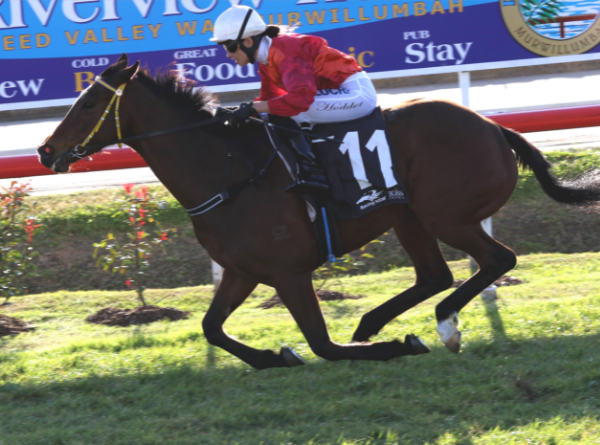 She Anne Bonny is also yet to win in four starts at Ballina but this six-year-old daughter of Stratum, prepared at Lismore by Owen Glue, is coming off a nice third to Spiral in the Rousillon at Lismore on Cup day. Which leaves Lismore pair, Queen Of Kingston and Watched. They are trained by Daniel Bowen and while neither has won at Ballina yet both are talented and could easily lob. Watched is a six-year-old daughter of Teofilo with three wins in 43 starts. She has had a freshen since finishing fourth to Travistee at the Sunshine Coast on July 22 while Queen of Kingston was a close second to Spiral in the Rousillon at Lismore. A five-year-old daughter of Nicconi she has won four of her 11 starts for $48,370 in prizemoney and has drawn barrier 11 while her stablemate jumps from barrier nine. Daniel Bowen will run Watched but isn’t sure about Queen Of Kingston: “She (Queen Of Kingston) might go to Brisbane yet,” Daniel Bowen said. “She’s drawn wide here and up there too, drawn off the track at both. It is a Soft 7 here at the moment and they are predicting more rain. He said she “looks enormous”. “She does look a treat but we’ll play it by ear with both,” he added while hoping Watched debuts well in Sunday’s Cup. “She is having her first run for me,” he said. Stacked up against the five local females are six male interlopers from across the border – Balius (Brad Witt), Cashing Up (Barry Lockwood), Fasta Than Light (Pat Duff), Kincaple Chief (John Smerdon), Rolling Roman (Garry Baker) and Champagne Rock (Ben Robinson) - plus Ballina gelding Voltaire Lumiere. Stephen Lee prepares seven-year-old gelding Voltaire Lumiere at Ballina and he has won four of his six starts on his home track. He will jump from barrier 10, splitting Lismore stablemates Watched (9) and Queen of Kingston (11).